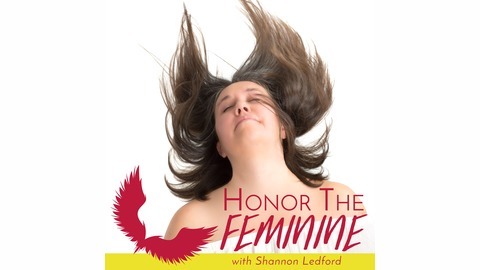 The Honor The Feminine Podcast is a space where Shannon Ledford & her guests share their voices & express their Truth. They surrender to flow as they explore embracing their shadow & the dance of the divine masculine & feminine withIN. I’m a ritual healing practitioner, ceremonialist, teacher and founder of Heart Path Studio, a non-profit organization in Athens, GA which aims to create a new folk culture of relating with the unseen world through the convergence of animistic and shamanic principles. My ancestors hail from the British Isles, France, and Cherokee, Ilini, and Choctaw nations. Committed to collective healing, I hold grounded, empathic, heart-centered ritual space which supports presence, trust, and community rooted in the ancient ways of healing as service to the Earth. 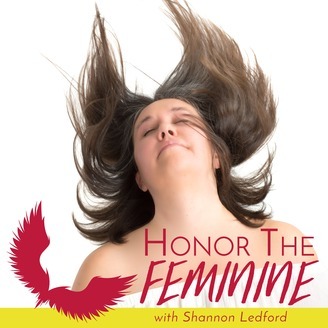 I have 25 + years of professional experience addressing the deep wounding of the feminine through social justice advocacy related to intimate partner violence, diversity, and the oppression of marginalized populations. I have a Masters degree in Professional Leadership and Counseling with a focus in Jungian and Gestalt modalities and use this training to support folks in honing their inner capabilities through connection with intuitive and spiritual resources as a means to shift through imbalances, embody deeper wisdom and earth-honoring purpose. My life’s work is grounded in animistic reverence studied in depth, specifically within the teaching lineages of mentors whose backgrounds are in West African Diaspora, Eastern Mysticism, Nepali shamanism, as well as various other diverse indigenous paths, and northern European cultures. Having made a pilgrimage to Nigeria, I am a committed student and initiate of Ọbàtálá, and Ọ̀ṣun, in the Ifa/Orisa tradition of Yoruba-speaking West Africa, in the lineage of Olúwo Fálolú Adésànyà Awoyadé from Òdè Rẹ́mọ, Ogun state, Nigeria. Along with Olúwo Fálolú Adésànyà Awoyadé and Dr. Daniel Foor, my other teachers and mentors include Robinette Kennedy, Ph.D., Bhola Nath Banstola, Gail Gulick, Robert Moss, Sandra Ingerman, and Linda Fitch. I dream and practice joy daily in Athens, Ga along with my son and a treasure trove of 4 legged fur babies.